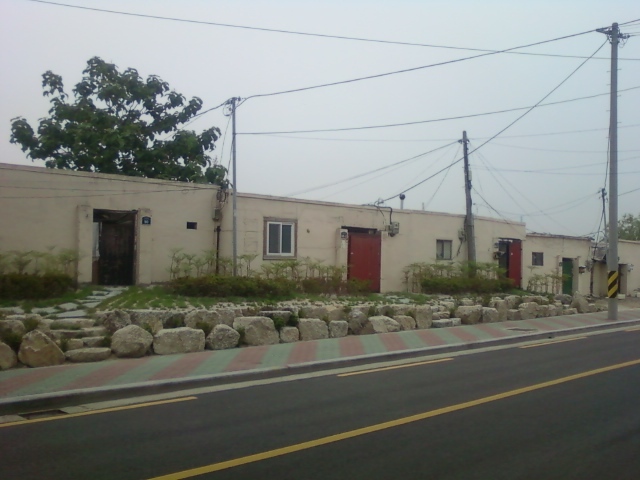 A row of houses near the school where I teach. Behind them is the old beach, Songdo Beach. The houses have courtyards accessible through those wide doorways and these lush interiors belie the otherwise blank exteriors. Across the street from here is the weather station along with a pine tree park and a highrise apartment complex. I live in a small room in a row area. Like this? Does the place have a courtyard or garden? Nah, mine is older style. At the ends of the row are usually businesses. I live in the market. I’d love to see pictures. In ancient Rome and in the towns and cities of the empire, the more modest houses must have been like these – plain fronts (probably fewer windows than these) and all life centered around the atria.